Back in the 50s and 60s it wasn’t unusual, in fact it was pretty much an industry standard, for single releases to have a running time under three minutes - in part due to radio scheduling habits - anything over four minutes rarely got a look in on commercial radio, until tracks like The Beatles’ ‘Hey Jude’ forced a rethink on that convention. By the 1980s it was relatively rare for a song to have a duration under three minutes, not that the length of a song has anything to do with how good it is. 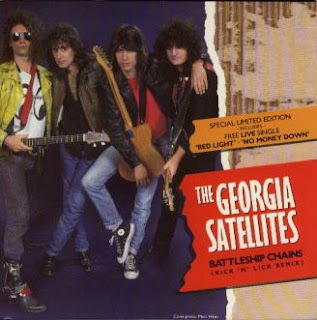 I can recall purchasing a number of singles on vinyl 45 during the late 80s (when my single buying frenzy was at its most furious), among them a song released during 1987 called ‘Battleship Chains’, by Georgia Satellites, which clocked in at around 2 minutes 57 seconds. What the song lacked in quantity, it more than compensated for in rip roaring rock and rolling quality. 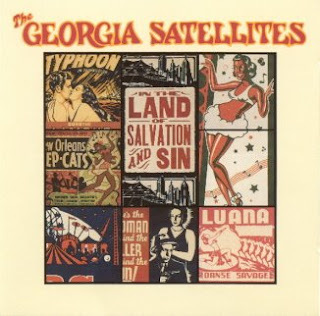 Hailing from Atlanta, Georgia Satellites launched their revival of roots rock back in 1980, whilst under the moniker of Keith & The Satellites. The group was formed out of the remnants of new wave outfit the Brains, who scored a minor hit with ‘Money Changes Everything’. 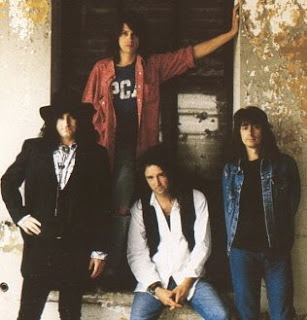 Keith was Keith Christopher (bass), which logically would have made the Satellites Dan Baird (vocals/guitar), Rick Richards (guitar/vocals) and David Michaelson (drums). In part taking inspiration from a concert by U.K. roots rock supergroup Rockpile (see future post), they abandoned the new wave angle and embraced the vibe and raw energy of good old fashioned rock & roll, with a Southern-boogie bent. They took up residency at Hedgen’s Rock ‘N’ Roll Tavern during the early months of ‘81, and quickly became house favourites, honing their bombastic, back to basics brand of rock, inspired by the likes of rock pioneers like Chuck Berry and The Rolling Stones. They broadened their style to infuse equal parts from heavy rockers AC/DC, 60s stalwarts The Faces, and Southern blues legends Little Feat, with a touch of Creedence Clearwater Revival for good measure. Bassist Keith Christopher departed the scene early on to take up a position with Frank Marino & Mahogany Rush. Baird, Richards, Dave Hewitt (bass), and Randy Delay (drums) shortened their name to the Satellites by 1983. They laid down a six track demo tape, produced by Jeff Glixman, which they shopped around local labels, but after coming up empty, the Satellites went off line (temporarily) the following year. But while the Satellites were briefly defunct, their demo tape continued to orbit the globe and eventually landed at the doorstep of an independent British record label, Making Waves. They liked the high octane, retro-freshness of the band’s sound, and put up some money to ship the group across the Atlantic, well fly I suspect, to undertake a U.K. tour. Baird and Richards, who had been playing with other outfits (the Woodpeckers and the Hell Hounds respectively), thought it an offer too good to refuse, so they recruited two more Hell Hounds, bassist Rich Price, and drummer Mauro Magellan (no relation to Ferdinand), and decided to explore their options in Britain. Apparently the tour fell through at the last minute, but Making Waves did release the six track tape as the ‘Keeping The Faith’ EP in 1985. Now dubbed the Georgia Satellites, the quartet kept their own faith and relocated to Nashville with a view of trying to score a recording deal Stateside. The well established Elektra label came to the party, and offered Georgia Satellites a deal to record their first full length album in 1986. Their full-tilt high energy rock, with a tongue in cheek edge, was reminiscent of George Thorogood, and was well captured on Georgia Satellites’ eponymous debut album. The lead out single ‘Keep Your Hands To Yourself’, debuted on the U.S. charts in late ‘86, and was soon receiving regular radio and MTV airplay. 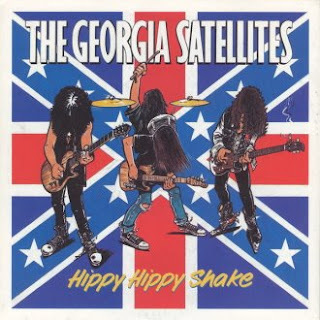 The Georgia Satellites sound was quickly dubbed by some as ‘hick AC/DC’, which was perhaps a little unkind in one regard - but then again any comparison to rock giants AC/DC has to be good. How ever you look at it, Georgia Satellites offered up a refreshing stripped-bare alternative to the heavily produced big hair pop-metal of Bon Jovi and the like - well they still had the big hair I guess. ‘Keep Your Hands To Yourself’ soon had both hands on the #2 position on the U.S. charts, only denied top spot by the bigger hair and slicker production of Bon Jovi’s ‘Livin’ On A Prayer’. ‘Keep Your Hands To Yourself’ was also well received in Australia (#20/UK#69), and boosted sales of the ‘Georgia Satellites’ album to the heights of #5 in the U.S., #28 in Australia, and #52 in Britain. The follow up single was the infectious rocker ‘Battleship Chains’, which only reached the lower reaches of the U.S. (#86) and Australian charts (#82), but in remixed ‘Kick N Lick’ form, tied down #44 on the British charts during the first half of ‘87. Single number three ‘Can’t Stand The Pain’ missed seeing any chart action, but all in all Georgia Satellites had gone from being three Hell Hounds and a Woodpecker to challenging for chart supremacy within the space of just eighteen months - but the pressure was now on to live up to expectations with their second album. ‘Open All Night’ opened for business during the U.S. summer of ‘88, but sales ultimately proved to be disappointing (UK#39/US#77). Georgia Satellites chief songwriter Dan Baird delivered another quality batch of roots rockers, drawing on all the best sources of inspiration mentioned before. The album was chock full of searing guitar riffs and mouth-watering hooks, and threw in a couple of power packed cover versions to boot, including a stomping rendition of the old Ringo Starr Beatles’ number ‘Don’t Pass Me By’. Dan Baird delivered a solid vocal performance, whilst Rick Richards guitar work slew them in the aisles, but despite everything on offer, it failed to spawn any further hit singles for Georgia Satellites. The band did score one final chart hit late in 1988 with a cover of the 1964 Swinging Blue Jeans’ hit ‘Hippy Hippy Shake’ (US#45/UK#63/ OZ#53), lifted from the soundtrack to the motion picture ‘Cocktail’. 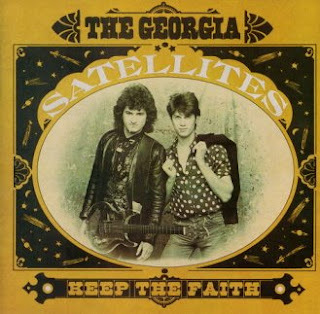 It seemed by 1989 that the fresh appeal of Georgia Satellites was not so fresh to the music buying public (fickle lot we are). 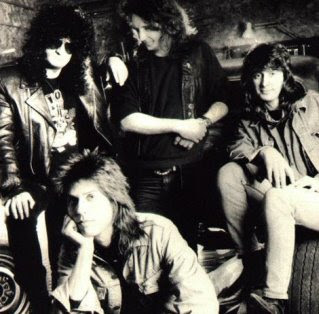 Aware of the relative disappointment of ‘Open All Night’, writer Dan Baird opted to slightly retune the Georgia Satellites signal for their third album, 1989’s ‘In The Land Of Salvation And Sin’ (US#130). The album retained the raw roots rock approach that had worked so well to date, but a power ballad like ‘It’s All Over But The Crying’ was a conscious plea for commercial pop appeal. Despite garnering positive reviews for its honesty of delivery, and consistency of quality, the album virtually sank without a trace, as did the associated EP ‘Another Chance’, and soon after Georgia Satellites were in danger of crashing to ground. In 1990 Dan Baird decided to disconnect from the Georgia Satellites and undertake a solo career. With their principle song writer and singer out of the equation, the remaining members took the decision in 1991 to disband. Guitarist Rick Richards played on Paul Westerberg’s 1993 album ‘14 Songs’, and soon after joined ex-Guns ‘N Roses guitarist Izzy Stradlin’s Ju Ju Hounds. Drummer Mauro Magellan relocated to Wisconsin and joined local band The Crashers. He also played on Dan Baird’s solo albums, the first of which ‘Love Songs For The Hearing Impaired’ (US#14 - Billboard Heatseekers Chart), was released in late 1992. The album spawned the US#26 hit ‘I Love You Period’, which showed that Baird had lost none of his sharp witted, free wheeling, rip-roaring rock passion. There was a hyper extended delay until his second album was released in 1996, but ‘Buffalo Nickel’ barely raised a nickel in sales. In the years following Baird has been a regular guest player on other artist’s albums, and formed the group The Yayhoos, who have released two albums; ‘Fear Not The Obvious’ (2001), and ‘Put The Hammer Down’ (2006). More recently Baird has toured and recorded with his backing band the Homemade Sin, releasing a self titled album in 2008. 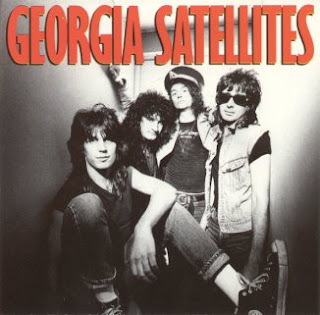 After a sabbatical of several years, guitarist/vocalist Rick Richards and bassist Rick Price relaunched the Georgia Satellites into orbit during 1993, with keyboardist Joey Huffman and drummer Billy Pitts on board. 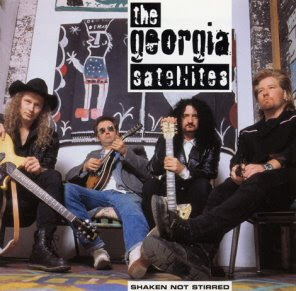 After solid touring the revamped Georgia Satellites released the album ‘Shaken Not Stirred’ in 1997, a mix of re-recorded numbers from earlier sets, and eight new tracks. Soon after Huffman split, and so too did the band for a short time, but in recent years Richard and Price have led Georgia Satellites Mk.III, now with Bob Page (keyboards), and Todd Johnston (drums) rounding out the line-up. Richards continues an impressive balancing act between his duties with the Ju Ju Hounds and fronting the Georgia Satellites. In early 2003, the original line-up of Keith & The Satellites reunited for a handful of live shows in the hometown, briefly reviving the kinetic energy that launched them more than twenty years previous.